Corrupted Midwife (ER) effect doesnt count for triggering this response. What about Claude Owen, it doesn't say anything about control, so I'm assuming it does work? 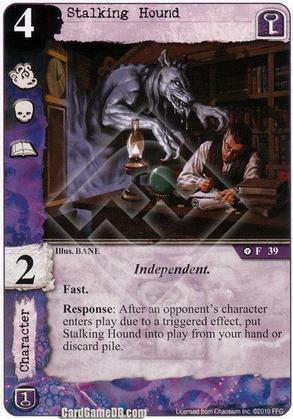 Evidently, "opponent's" (in the Stalking Hound text) = "controlled by opponent," so Claude won't supply the response condition. When he brings the card into play, it's not under the opponent's control, and when it becomes once more the "opponent's character," it's already in play.